The day couldn’t have been more perfect for Jenny and Chris for their The Kitty Hawk Pier Wedding. Jenny and Chris became the new Mr. & Mrs. Christopher Scott on Saturday March 4, 2017. This is DJ George giving you a recap of Jenny and Chris’s big day! The wedding ceremony was held at the Duck United Methodist Church in Duck, N.C. Following the ceremony guests made their way over to the Kitty Hawk Pier for cocktail hour to be wowed by the creative work of The Embellishers as they provided beautiful fabric and lighting to accent the room. The Hilton Garden Inn staff worked hard in preparing great appetizers and hors d’oeuvres while the wedding party was taken for photos. 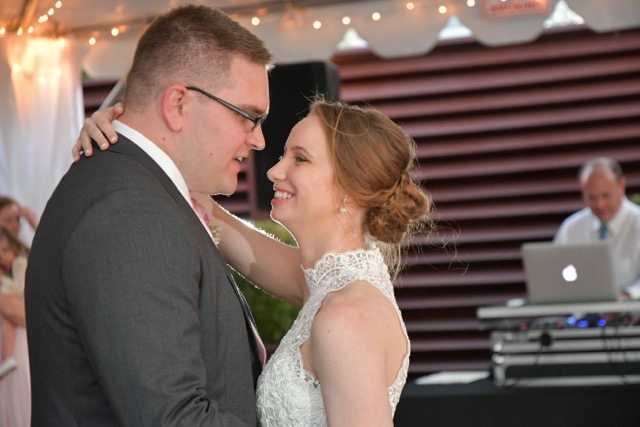 Ryan Diegelmann with Coastal Shots Photography captured some awesome shots from Jenny and Chris’s day and we can’t wait to see more. After cocktail hour introductions took place. We announced each member of the bridal party to a different song. Chris loves country and wanted to be introduced to “Shotgun Rider” by Tim McGraw. Jenny and Chris had their first dance to “Wanna be that song” by Bret Eldridge. Jenny and her father danced to “Daddy’s Angel” by Anthony Carter. Chris and his Mom shared a dance to “What a wonderful world” by Louis Armstrong. 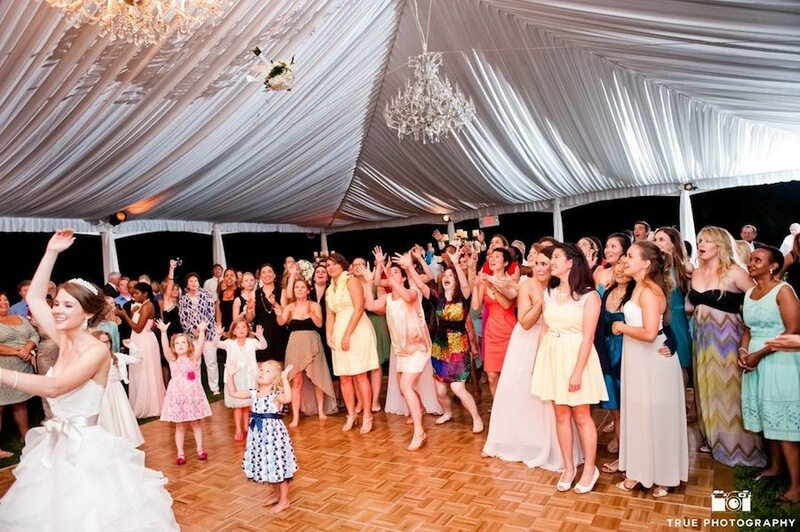 These are just a few of many great wedding songs that can be played. We had a few toasts after all the special dance while dinner was being served. Towards the end of dinner Jenny and Chris made their way over to the cake table. Guests gathered around to get photos while they cut their cake. We played “A Thousand Years” by Christina Perry while cup cakes were passed. It was time to get the party started and open up with dance floor. This crowd loved a good variety of music from artists such as oldies like Chubby Checker, 80’s music from Journey, and even some 90’s hip hop. Chris loves old school hip hop and wanted some Jay-Z, Notorious BIG, Snoop Dogg, and Method Man so we rocked a few! 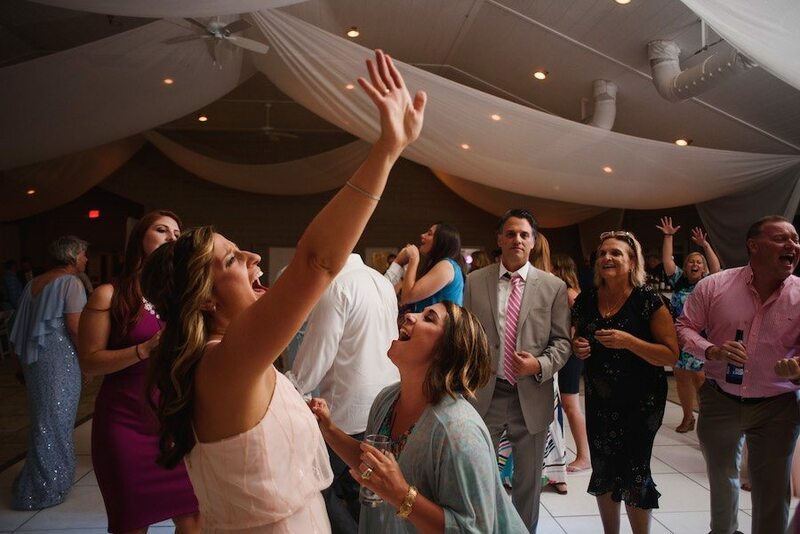 We had a great time as Kitty Hawk wedding DJ with Jenny and Chris and all their friends. 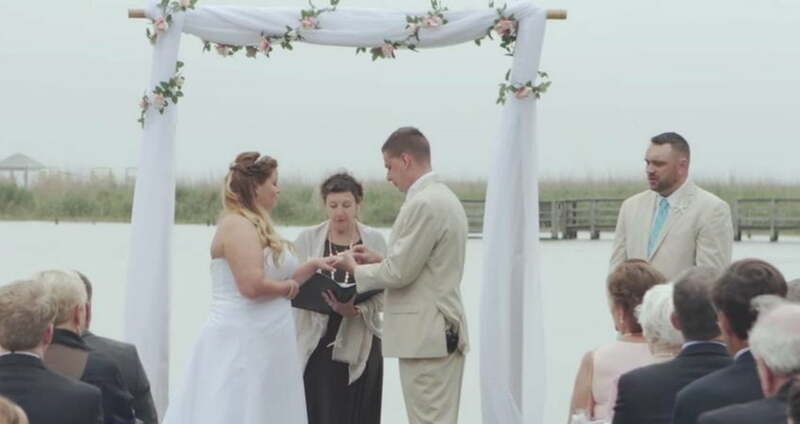 Thank you for choosing Coastal DJ & Video for your wedding.